Whats now Yellow and doesn’t pop even if you poke it with a sharp object! 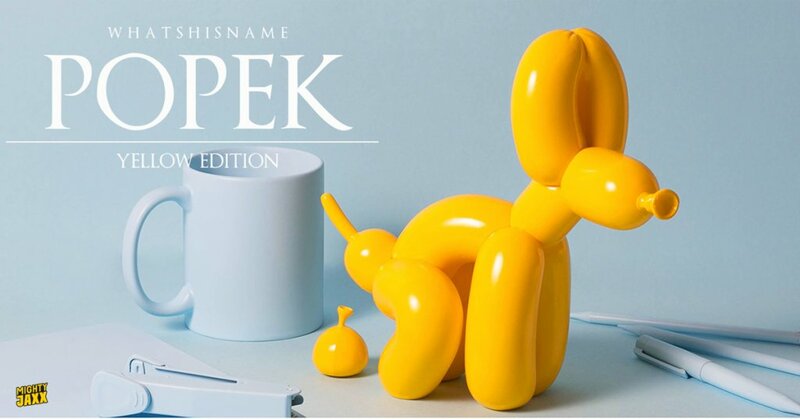 POPEK YELLOW EDITION by WHATSHISNAME x Mighty Jaxx. Yeah boi, only a few more hours until WHATSHISNAME & Mighty Jaxx open up to offer you the POPEK Yellow Edition, arguably the best colourway ( * looks at my skin colour) This Yellow Edition of POPEK must be the most limited edition to date as only 200 have been made.